Whether you’ve been into motorcycles your whole life or you’re new to the scene, you’ve probably wondered what is a cafe racer. 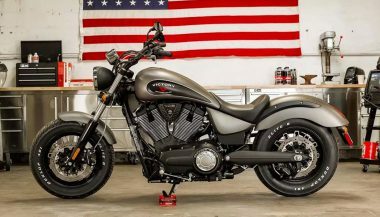 The term applies to a certain segment of motorcycles that typically aren’t all that much to look at, unless you appreciate detail and fine craftsmanship. One thing is for certain, cafe racers have some pep in their step. If you’re like me, you’ve probably wondered where the term cafe racers comes from. So let’s find out what a cafe racer is all about. What Does Cafe Racer Mean? Like all good motorcycle stories, the cafe racer originates in the post-war era. Motorcycle ownership was more popular than buying a car. 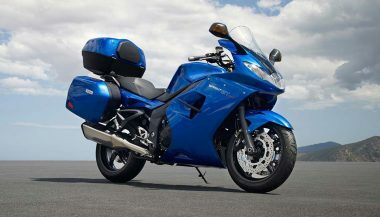 These rather basic bikes were easy and cheap transportation and had the ability to be tuned up for higher performance. In the early ’60s, a motorcycle subculture was developing. Drivers were stripping down their bikes and tuning up their engines for more speed. Bikes’ configurations were even modified to “tuck” the rider in, reducing wind resistance. These modified motorcycles were rather uncomfortable, and were said to be good for only short trips from coffee shop to coffee shop. Hence the term cafe racer. 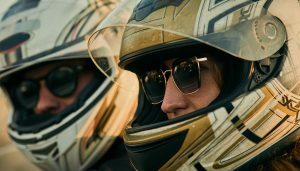 What Makes a Good Café Racer? 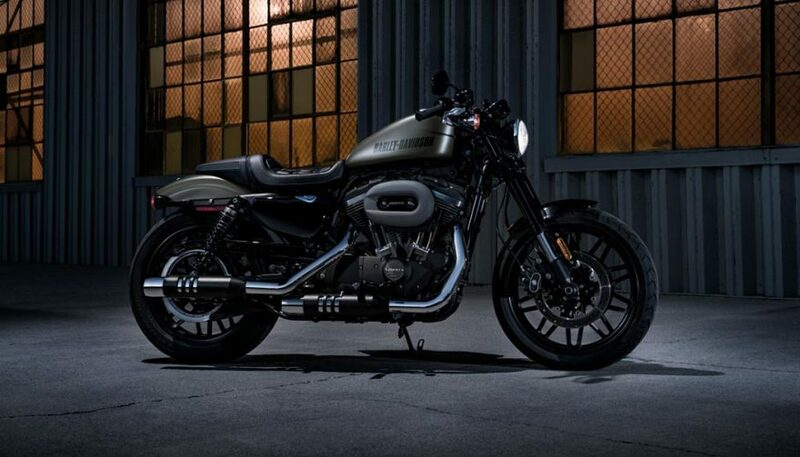 Just like cruisers and sport bikes and touring motorcycles, all cafe racers have something in common. These are five distinct criteria for cafe racers. One of the key components for a cafe race is the aerodynamic position the rider uses. Getting down low requires handlebars that are either on a flat plane or might even turn down slightly. The handlebars aren’t in a comfortable position in most situations. It’s almost as if a cafe racer was intended to provide a bit of suffering for the rider. You won’t find fairings, tall windshields or fancy graphics on a cafe racer. Hell, you often won’t find anything but lights and a speedometer, and even the speedometer may even be optional. It’s about a pure experience between the bike, the rider and the road, and nothing else. In the subculture, where cafe racers were a segment of customized bikes, minimalist pinstriping or race-inspired markings on the tank and fenders were sometimes found. What’s common on all cafe racers is the open-sided, “naked” look with the engine chrome front and center. Really, what it all boils down to is performance. Performance for a short ride. The engine isn’t necessarily efficient, but it certainly is fun. For most cafe racers, you’ll find small displacement engines – 500cc and less – in a rudimentary design. A small V-Twin is the perfect example for the cafe racer. To earn respect, the engine can’t be bone stock. Cafe racers notoriously were tuned up for much higher power than stock. Lightened engine components allowed for higher revving, and larger carbs fed fuel into the engine at an alarming rate. Because a cafe racer doesn’t live up to the hype if it can’t go fast. Along with a long stretch to the handlebars, the rider needed to “be one with the bike.” A low-profile fuel tank was just the ticket to do that. The ’60s-era styling was perfect for a cafe racer as tanks were rather flat-topped. A narrow tank reduced the weight not only of the tank itself but of the weight of the fuel it could contain, keeping the center of gravity low. In many café racer designs, the tank also incorporates knee grips. These are indents in the backside of the tank where a rider literally could squeeze their knees, holding onto their bike in a corner or while accelerating and braking. While not a necessity, it’s an aspect you’ll find on many cafe racers. One thing is certain: a cafe racer’s suspension was not intended for comfort. Accompanied by an often flat and virtually unpadded seat, it was like getting a spanking every time you rode your motorcycle. Shocks are stiff and designed to keep the bike planted tightly against the pavement. And since tires aren’t wide like a crotch rocket, a cafe racer needs to be able to keep control in a slide too. Modern cafe racers have fancy suspension systems that are precisely matched with the bike’s weight. For custom builds, you can change the ride height, cornering clearance and more simply by changing the shocks. What used to be a subculture for modifying motorcycles and being part of something anti-social became a niche market. 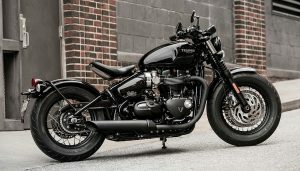 Today, you’ll find manufacturers building cafe racers like the Triumph Thruxton, BMW R nineT Racer, Harley-Davidson XL1200CX Roadster, and Kawasaki Z900 RS Café. 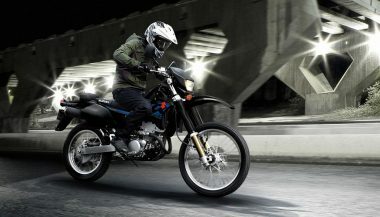 The best dual sport motorcycles offer the best of both worlds, street versatility and trail chops. Here are the best out there right now.